Quarterly Kundalini Yoga & healing workshop: One for the Heart is a national Kundalini Yoga and meditation workshop programme delivered through the Guru Ram Das Project charity. To reach our heart center it is necessary to leap beyond fear by letting go, by trusting; accepting and becoming compassionate. Being kind, compassionate and loving ourselves is key to being able to support and help others. To make this journey, often, we need to remove fear from our pathway; clearing the space so that we can allow ourselves to love without holding back or being held back. The workshop is open to all adults, regardless of your level of yoga practice. So please come and join us for an uplifting, heart opening experience. Wear comfortable clothing, bring a bottle of water, a (yoga) mat and a shawl or blanket for relaxation (optional). Gobind Seetal lives in Watford and trained with Karam Kriya School. 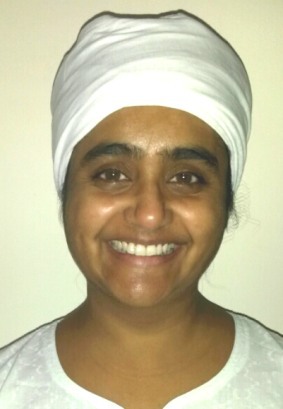 She qualified as a Level 1 Kundalini Yoga teacher in 2004 and has completed the following Level 2 Modules: Stress and Vitality, Conscious communication, Mind and Mediation, Lifecycles.